It hasn't rained for 47 days. That's a long time. The record for days without rain in Western Washington is 51, we're getting close. What this has meant is a few things, the grass is dead, but then the grass is always dead in the summer. 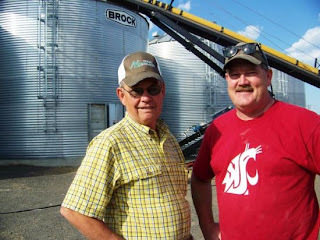 While the rest of the country has been gripped in a significant drought the Northwest has largely been spared and the very wet Spring has provided a substantial snow pack in the Cascades that has allowed irrigation and farming to continue successfully. That however has not been the reality for the rest of the country with American farms getting hammered by drought and stories from the Midwest of fields of dead crops left out to wither. Further that devastating drought in other parts of the country has led to a higher demand and higher prices for farmers here in the Northwest. While it's never cool to celebrate the misfortune of others, it has been a bit of a banner year for farmers here in the Northwest. 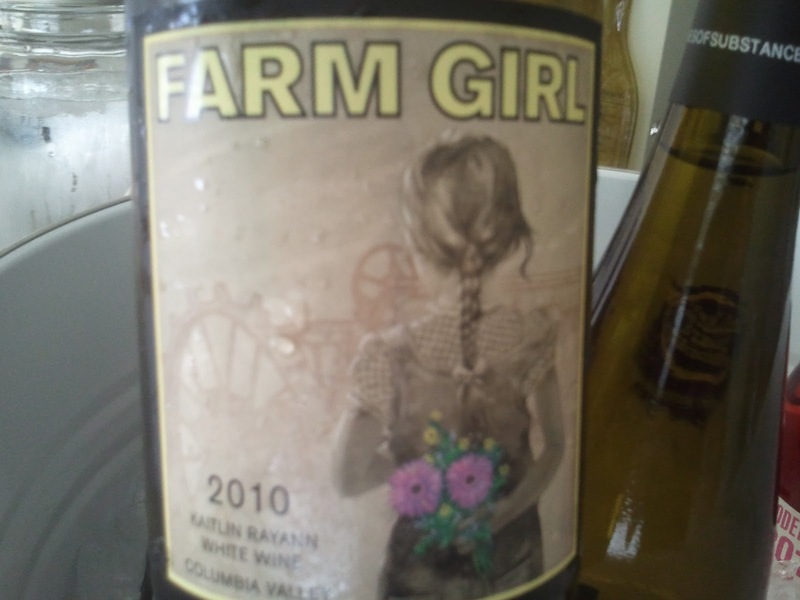 This week's Friday Find is a nod to our farmers and the good year that they're having, it's the Smasne Cellars, 2010 Farm Girl White. This white Rhone style blend is mostly Roussane with substantial Viognier and a touch of Marsanne. The current release is likely the 2011 but this wine is still bringing crisp and refreshing flavors and aromas to the game in the 10 vintage. The stainless steel approach to the Rhone varietals retains great acidity and crisp citrus fruits. The Farm Girl exhibits aromatics of lemon zest and green apple and continues on with citrus and mineral flavors. It's a smaller production wine from Washington wine maker Robert Smasne at under 700 cases. For $15 it's a great way to celebrate this extension of summer we seem to have been given. Thank you mother nature.